I’m Claudia Hedger, the founder of Content Creators Society. I set up Content Creators this academic year to bring together a community of students who want to make their own content, whether that’s through YouTube, blogging, podcasting, or Instagram. I formed a committee with the amazing Laura Walker and John Su, and, after the initial confusion of how to define our society, we have slowly formed a community of people who already do, or want to, create content. The idea behind the society is to create a network of people who have different strengths and to help each other maximise digital marketing and content creation in order to achieve our goals. For some, it’s simply enjoying the process of making content, whilst others want to help people (such as one of our members Tom, who has a YouTube channel about mental health and autism). Others, such as myself, enjoy all of that but also want to challenge ourselves to do something creative and hopefully build a base of potential customers for future business endeavours. I had the idea for Content Creators Society after trying to create fitness content on YouTube and Instagram without much success. I felt a bit lost with the technicalities of filming, editing, and what makes content good. After producing content I was not happy with, I wanted to talk to other people also trying to establish themselves for help. 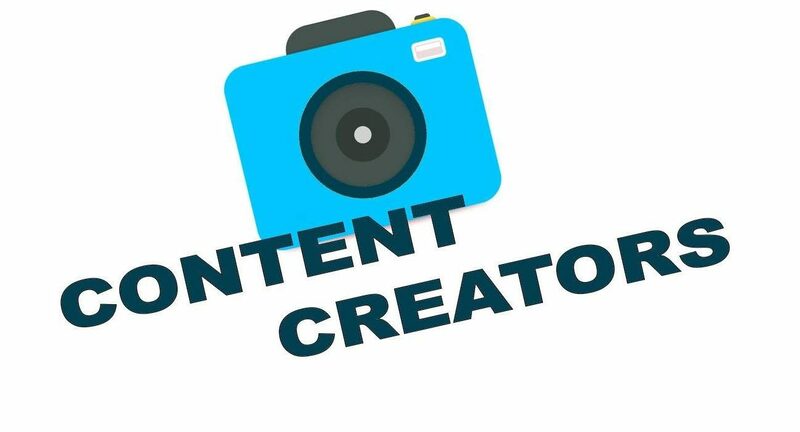 I quickly realised I didn’t actually have anybody to turn to and had to find a way for students making content to connect. Thus, Content Creators was born. I’m still learning and always will be, but I like to think I’m slowly improving, thanks to the knowledgeable and encouraging community our society has formed. I’ve got no professional experience in creating content, and neither have most of our members, so really it’s a place for us to meet up and learn together from our own experiences and theories. We have reached out to those who are a bit more experienced than us, and hope to run many more events like this in the future. Last year, we managed to arrange a talk from an ex-UoM student blogger, Life of Paz, who has successfully grown a following writing about food and lifestyle topics. She kindly paid us a visit and spoke about how she started her blog, the technical side of WordPress, and how she’s grown her following through marketing. We also had a bit of a Q&A and networking session to end the event, which we always try to incorporate as it’s a great way to meet others and form potential collaborations. This year, we have numerous student-led events planned such as how to generate content ideas, debating YouTube policy, networking, how to start a podcast, and how to grow following and interactions on social media. For our ‘how to start a podcast’ event, we have Josh Sandy (a fellow student) talking to us about how he set up his podcast and radio show, as well as how he has written for numerous reputable publications such as The Mancunion and Huffington Post. We’re really excited for these events and hope to inspire and help more students to start creating content. As for the future of Content Creators, I’m starting to focus more on helping members get started and on the way to reaching their goals. It seems like a lot of us have the desire to create content but have barriers in the way. This is something that really interests me and I’d love to get to the bottom of what is stopping people from just going for it. Whether it’s a matter of lacking technical knowledge, not having enough confidence, or just no idea of the sort of content they want to create, I’d love to organise more event to help students overcome these internal barriers and start getting creative! Of course, we also have members that already create content, such as Reem, who set up a blog called ‘Gravity’ all about beauty, makeup, fashion, and life. We also have Josh who has a film review radio show, podcast, and plethora of articles, and Tom who I previously mentioned. We want to help our members sustain their content and keep growing their following, which is the basis for a lot of our upcoming events. If you want to, or already create content and our society sounds like something that might be useful to you, sign up on the SU website, or find us on Facebook/Instagram as Content Creators UoM Society. Claudia studies law at UoM and is the chair of Content Creators society.